Jodi Breau came to us with an eco-friendly new product that she needed help branding and marketing. 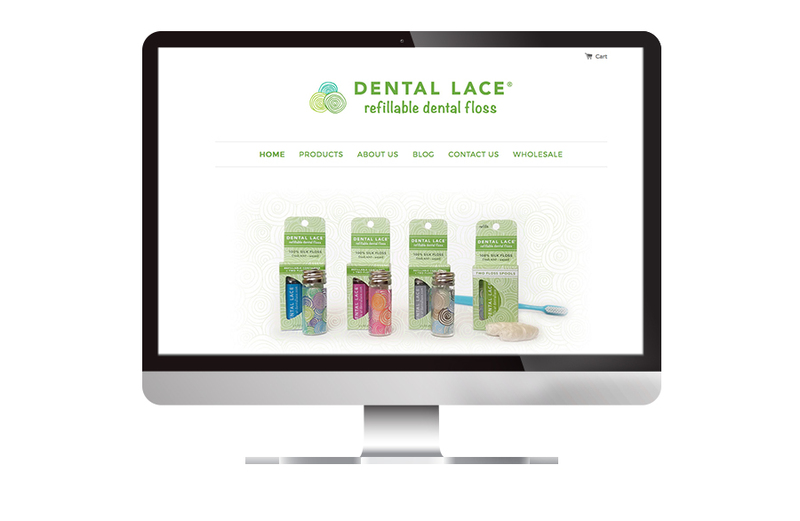 Her product, Dental Lace is a refillable glass and stainless steel container for a spool of silk dental floss, so there is none of the typical plastic waste found in most floss containers. Visible Logic designed the containers, boxes and logo, to establish a friendly and fashionable look for her products. The product comes in a suite of colors making the package line colorful, fun and eye catching. This dental floss is something to display rather than hide. We’re thrilled that the design won an American Package Design Award from Graphic Design USA. You can read more about the award here. To help her sell her products we also helped her to customize her Shopify website to match her now established brand identity.